Tablet/smartphone-based NDT probe for fast, accurate and efficient detection of in-situ analysis of corrosion. 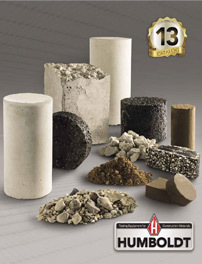 Humboldt provides a wide range of quality control testing tools for the detailed detection and evaluation of corrosion, chloride ion content, ASR deterioration, and carbonation in reinforced concrete structures. If you have questions or need help selecting equipment, please call us at 1.800.544.7220 or use our Quick Response form.